SANTA ANA – The Orange County District Attorney’s Office and Santa Ana Police Department (SAPD) are seeking the public’s help identifying potential additional victims of a man charged with luring multiple minor aged boys into his apartment and sexually assaulting them. 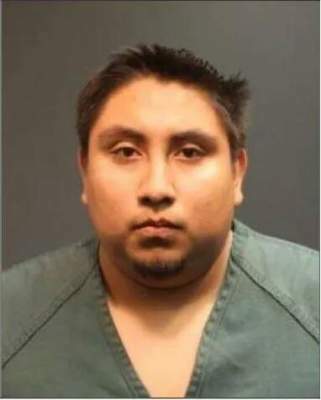 Edwin Echeverria, 22, Santa Ana, is charged with 11 felony counts of lewd act upon a child under 14 and three felony counts of lewd acts upon a child with sentencing enhancements of committing the crime against more than one victim. If convicted, he faces a maximum sentence of 275 years to life in state prison. The People will be requesting he be held on $1 million bail at his arraignment this afternoon in Department CJ-1, Central Jail, Santa Ana. Believe Additional Victims May Exsist. At approximately 12:35 AM on December 3, 2014, Santa Ana Police Family Crimes Detectives arrested 22-year-old Edwin Echeverria for multiple counts of Child Molest.